Chattanooga society is turned upside down as a young woman has the audacity to ride a bicycle-in bloomers! It's 1895. Anna Gaines, 19, struggles to conquer her insecurities after a horrible fall years ago from her beloved horse, Longstreet. On a visit with her aunt in Brooklyn, she's drawn to the new pastime of bicycling. But back at home, cycling is a scandalous sport for a proper lady. Southern women did not engage in activities meant for men. Anna has her eye on Peter Sawyer, president of the Cycling Club. As community outrage grows, an unexpected turn of events pits Anna against Peter in a race between the sexes. Will Anna prove that women deserve the same right as men to ride "the wheel?" Will she choose to live a quiet, traditional life of a housewife and mother? Or will she pursue college and become one of the "new women" emerging into the twentieth century on the seat of a bicycle? What will become of the spark between Anna and Peter? Faith, patience, and courage help Anna to become the person she was meant to be. Mike Mizrahi has a master's degree in public relations, advertising and applied communication from Boston University. After a career in corporate public affairs, he retired to pursue a deep passion: writing. 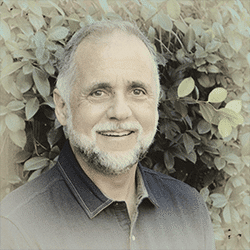 Mizrahi and his wife, Karen, led a mission trip to the Democratic Republic of Congo four years ago and were so moved by the experience, Mizrahi wrote his first novel, which he hopes will one day be published. 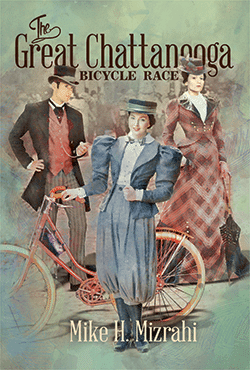 The Great Chattanooga Bicycle Race is his debut published work. Mizrahi loves reading and writing stories about "sozo," which means to be rescued in Greek. He and Karen are very active in their church and community and love to hike, travel and go the movies together. The Mizrahis live in Woodland Hills, California, where they raised their children who are now adults. Learn more about The Great Chattanooga Bicycle Race and Mike H. Mizrahi at www.mikehmizrahi.com or on Facebook (AuthorMikeMizrahi) and Twitter (@MikeHMiz). Cassandra's Review- A more serious time, but this book presents a fun factor in the reading. The author brings a great era and story to life through his well written and easy to feel words. Enter today by clicking the banner below, but hurry! The giveaway ends on June 14. The winner will be announced June 15 on Mike's blog.